Lavender is one of the most popular herbs with recipes and remedies dating back thousands of years. Whether you grow or buy freshly harvested lavender, there are many creative projects to capture the fragrance and essence of this beloved plant including soaps, linen sprays, bath melts, and heat pads—and plenty of ways to enjoy it in beverages and baked goods. Lavender (Lavandula) is a flowering plant in the mint family (Lamiaceae) with many different species. Depending on your climate, lavender may be grown annually or perennially. I always have several varieties in my garden for a very simple reason: I just love how it looks and, of course, bees love it too. 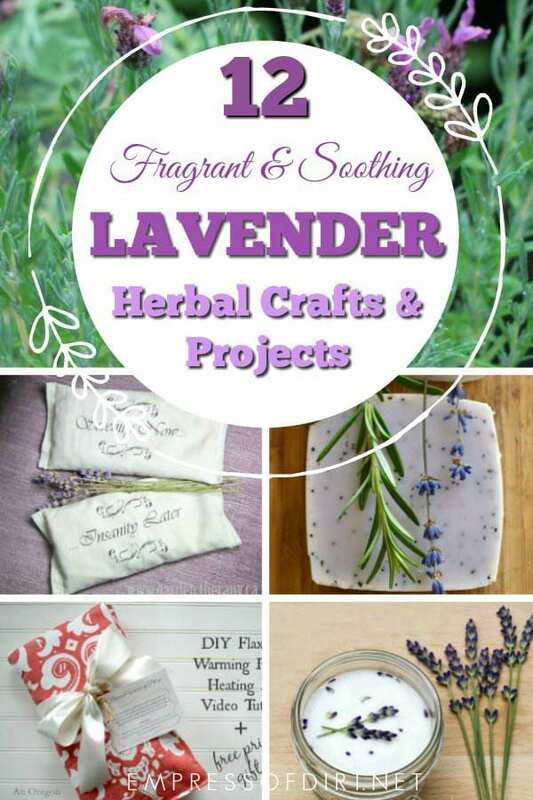 If you have some lavender to harvest or purchase (try Etsy and eBay), there’s all sorts of creative projects to choose from. While I’ll save the topic of how to grow lavender for a separate post, I can provide a few basic pointers (applicable to any plant growing). Lavender can be fussy to grow. I suspect this is because some varieties from garden nurseries are best-suited for life in a greenhouse with consistent conditions. If you’re purchasing lavender for your garden, find out if it is truly suitable for your growing zone. Is it an annual or perennial variety? Will it survive your winters? Research the name before you buy plants to know what you’re getting. Which growing conditions are best? What kind of soil and light is needed? And, if you see some growing in your neighbourhood, try and find out which type it is. Use the experience of others as your stepping stones! Lavender is a favourite plant for cottage-style gardens like mine. You can see more recommended plants here. First, you need some lavender. 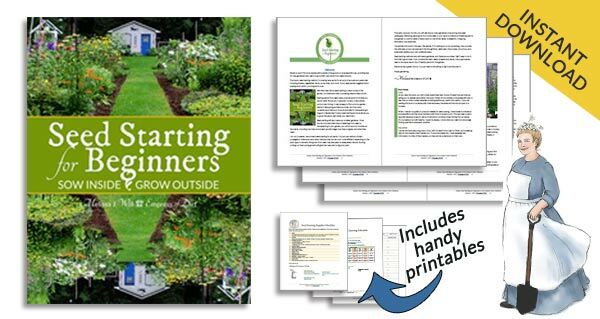 As mentioned, if you are not growing your own, try a gardening friend or farmer’s market. You can also order lavender, lavender seeds, and lavender oils by mail-order. Patti of Garden Matter has recipes for lavender sugar, syrup, and cookies. Tanya of Lovely Greens makes lavender honey cookies. Stephanie of Garden Therapy shows how to make infused sugars including lavender and say cheers with lavender soda and lemonade. Lynne of Sensible Gardening and Living makes lavender jelly. Have you ever tried soap-making? I made my first soap years ago (free instructions here) and got hooked. Not only did I manage to create a soap I love, but one batch lasts for years. I see why so many people get into selling their homemade soaps and lotions. Once you try it, you want to experiment more. Tanya of Lovely Greens has lots of soap tutorials including lavender rosemary hand soap. Stephanie of Garden Therapy makes lavender and cocoa butter bath melts. Jami of An Oregon Cottage will relax you with these lavender and flax seed warming pillows and heat pads. Kristin of Live Simply makes lavender candles. Stephanie of Garden Therapy shares how to make these sweet lavender eye pillows. Patti of Garden Matter makes lavender bath bags and sachets. Heather of New House New Home has easy instructions for lavender linen spray. Shelle of Preparedness Mama shows us how to harvest lavender. Who doesn’t like the scent of lavender? Fleas! Stephanie of Garden Therapy keeps her little Meatball happy with anti-flea dog shampoo. If you make one of these projects or have one to share, I’d love to hear about it.